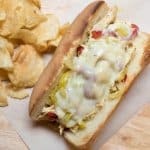 These Crock-Pot Chicken Philly Cheesesteak Sandwiches have tender shredded chicken, peppers, and onions piled on hoagie rolls with melted cheese. Let your slow cooker do the work and come home to an easy, delicious meal. We’ve had some crazy, all over the place weather here in Northern California this week. I’m talking over 100 degrees one day then 20 degrees cooler and raining the next. Mother Earth just can’t decide what she wants and I guess that’s her prerogative. Whatever the weather – it’s summer! 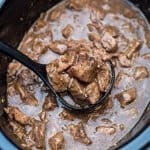 I’m always chomping at the bit to get that grill going but I also LOVE to make use of my Crock-Pot in the summer months, especially on those insanely hot days when you don’t even want to crack open the patio door to fire up the grill. 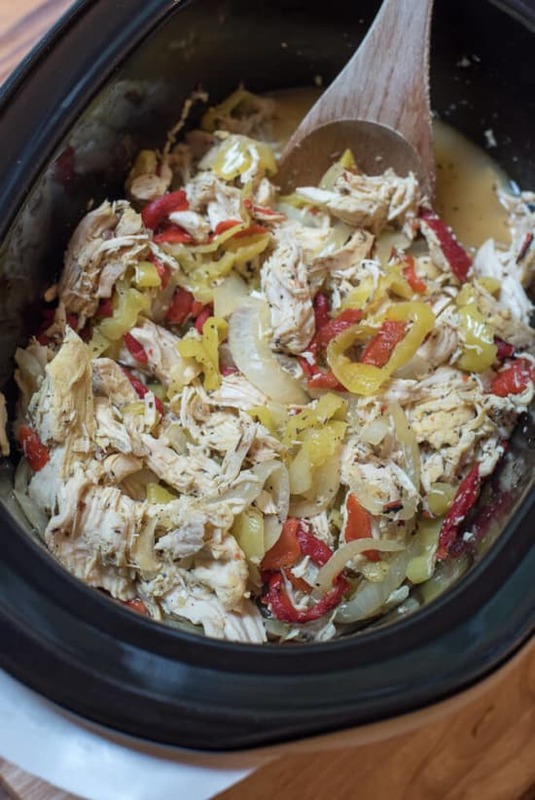 I kept things cool and easy the other day with this delicious mixture of chicken, peppers, and onions. 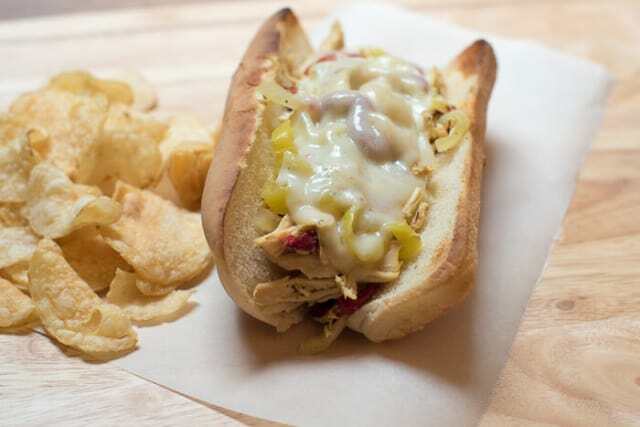 We piled that deliciousness on hoagie buns with some cheese and let them toast briefly in the oven and dinner was on! 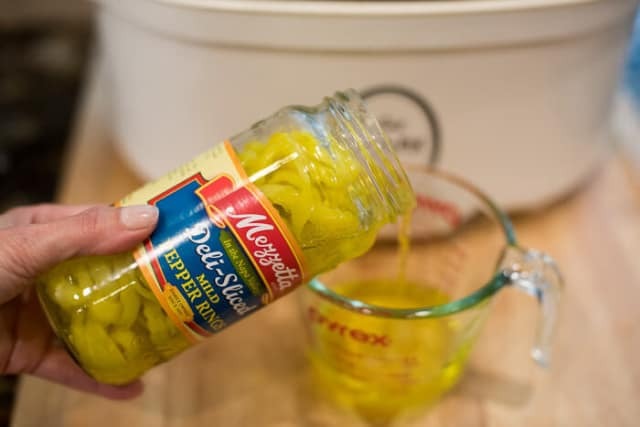 I’m a long-time fan of the entire line of Mezzetta products and have put many of them to good use in my recipes over time. 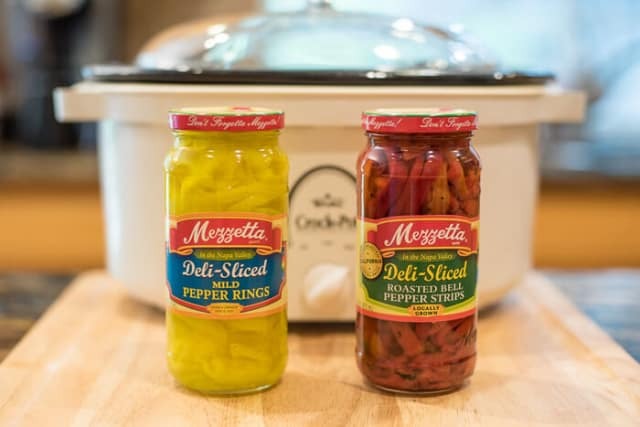 This time around, Mezzetta Deli-Sliced Mild Pepper Rings and Deli-Sliced Roasted Red Bell Pepper Strips are front and center. There’s something pretty magical about Mezzetta’s brine. I’m pretty sure it’s the reason why their peppers are so addictive. Drain it off, but reserve some from the jar of Mild Pepper Rings because we’re going to need it in a bit. 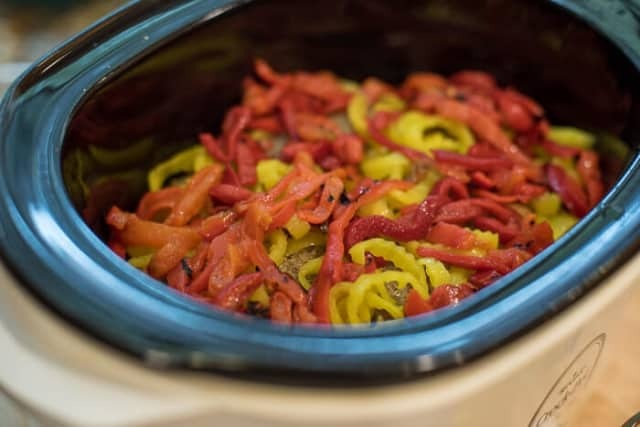 Layer the bottom of your slow cooker with a thinly sliced yellow or white onion. Add 2-1/2 pounds boneless, skinless chicken breast right over the top of the onions. Season the chicken with 2 teaspoons Italian Seasoning and 1 teaspoon garlic pepper. Scatter the drained peppers over the top of it all and then pour 1 cup chicken broth and 1/4 cup of that magical brine around the edges. Cover and cook on LOW for 6 to 8 hours or HIGH for 4 or 5 hours. Check the chicken periodically towards the end of the cooking time and when it is tender enough to shred it has cooked long enough. 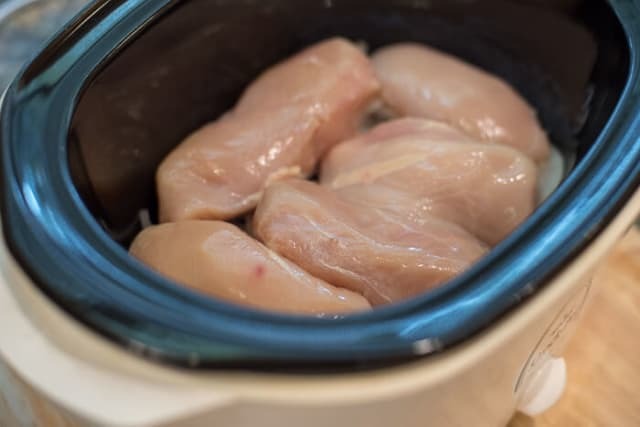 Transfer the chicken to a cutting board and use a couple of forks to shred it lightly, leaving some good bite-size pieces. 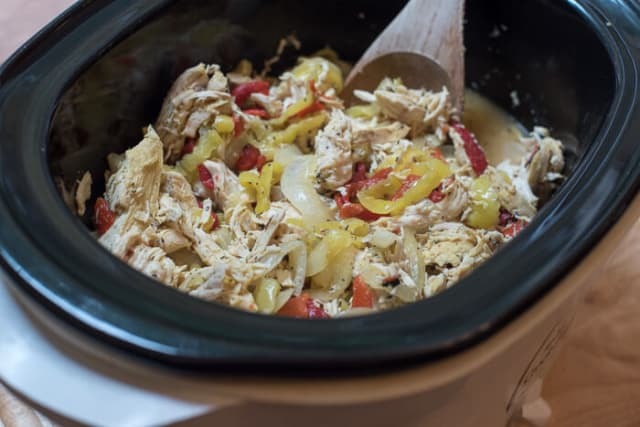 Add the chicken back to the slow cooker with the peppers, onions, and cooking liquid. Give it a good stir to combine it well. 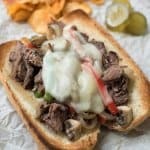 Pile it onto hoagie rolls, top each sandwich with a nice, soft white cheese – for cheesesteaks, I recommend a good melting cheese like white American or provolone. 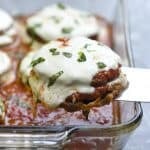 Pop those babies under the broiler for a quick minute or two, just until the cheese has melted, and you are ready to serve. 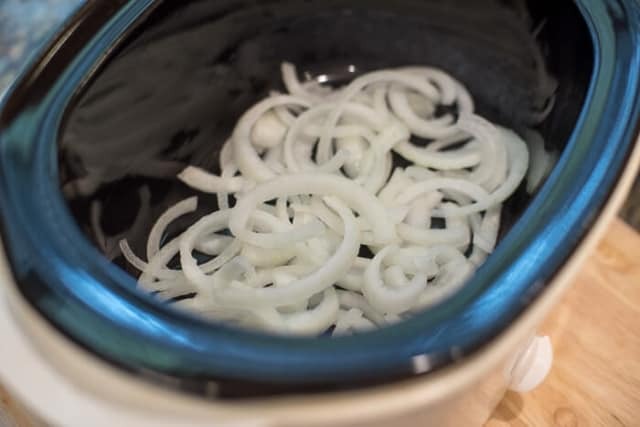 Place the sliced onions over the bottom of your slow cooker insert. Place chicken over the onions and sprinkle the chicken with the Italian seasoning and garlic pepper. Scatter the drained Mild Pepper Rings and Roasted Red Bell Pepper Strips over the top of the chicken. Pour chicken broth and 1/4 cup of the reserved brine from the Mild Pepper Rings around the chicken. 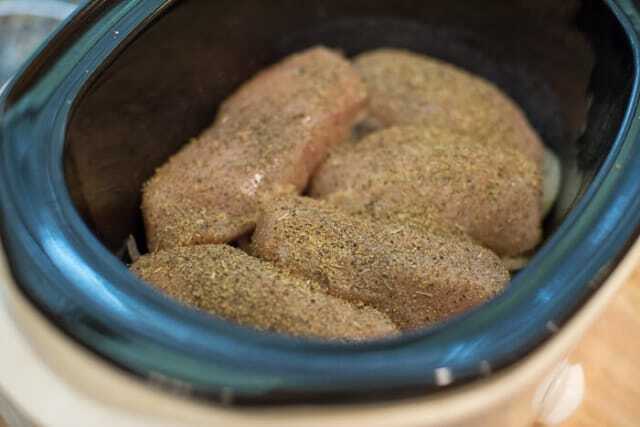 Place cover on slow cooker and cook on LOW for 6 to 8 hours or on HIGH for 4 to 5 hours, until chicken is tender and easy to shred. 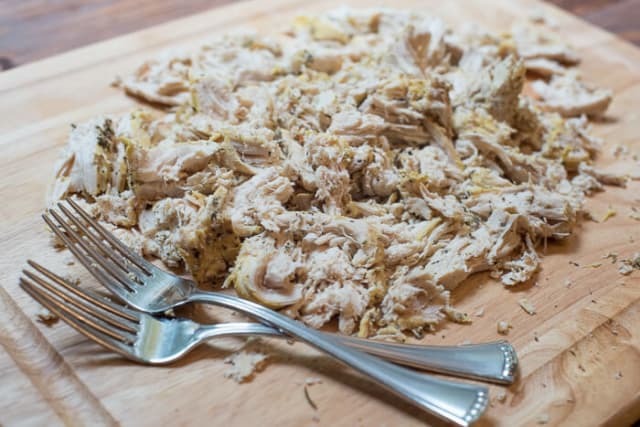 Transfer cooked chicken to a cutting board and use two forks to lightly shred it, leaving some good bite-size pieces. 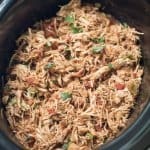 Transfer shredded chicken back to slow cooker and stir it into the cooking liquid, combining well with the peppers and onions. 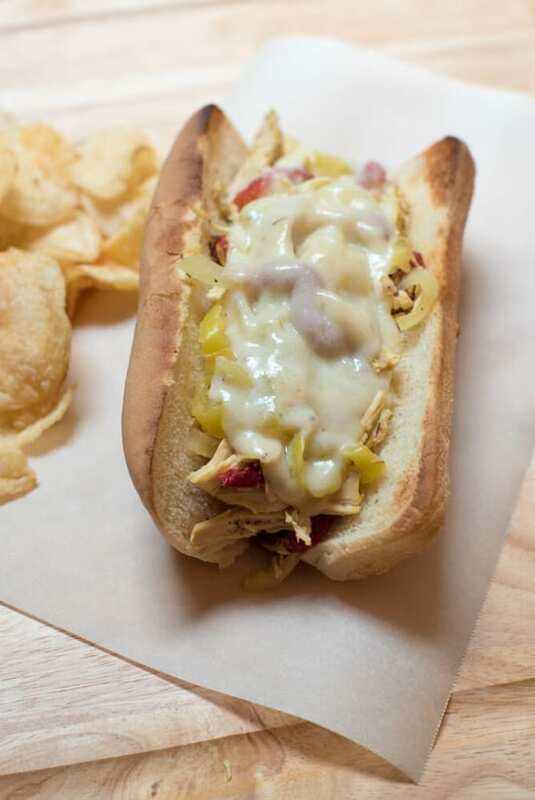 Serve up on hoagie rolls, top with cheese, and place under the broiler for a minute or two until cheese is melted. Yum! I made Jalapeno Popper Chicken! These sandwiches looks super yummy! That sounds really good, Roberta. I’ll pop over to check it out. These look great! 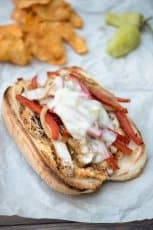 I’ve made a similar chicken cheesesteak in the past but just cooked sliced chicken on the stovetop. 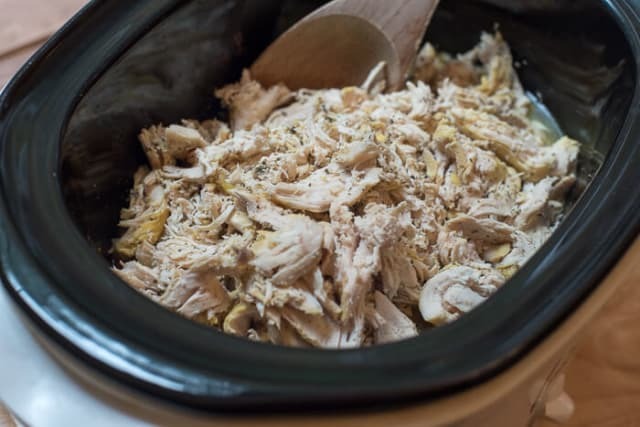 I love how you used the crockpot to make this such a hands-off meal! I’ll definitely give this recipe a go as it seems much simpler. Yum! This sandwich looks delicious! The pepper rings and brine must add such wonderful flavor to the chicken. Thanks, Thao! They are pretty, darn tasty! My favorite summer food is hot dogs for sure, i love topping mine with baked beans. 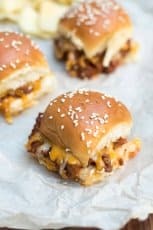 These look delicious..going to make them Saturday for our 4th of July dinner! 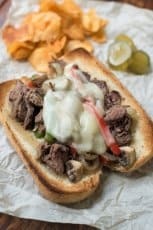 This looks like a delicious recipe, but nothing about this is Philly Cheesesteak. A traditional Philly has steak and onions and cheese and that’s it. I’ll make exceptions for green peppers, but that’s about it. 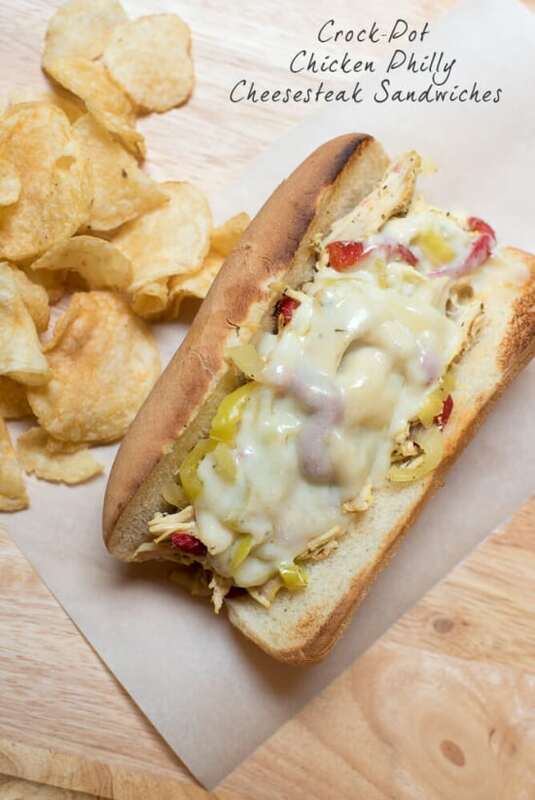 This is a chicken and pepper sandwich. I would agree with you on that, AK. This is not mean to be a traditional cheesesteak recipe at all. It was, however, the inspiration behind it. I wouldn’t recommend it, Sherri. You could definitely make it ahead and refrigerate it overnight but I’m not sure the chicken and pepper mixture would be at its best if frozen and thawed. If you do try it, be sure to let me know how it works out. Absolutely loved this, thank you! 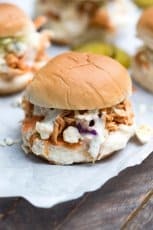 I’m so glad that I recently found this on Pinterest, these subs are seriously the best things that have come out of my crockpot in ages. Yay, Lilli! So glad to hear this. We love them too 🙂 Thanks so much for you wonderful comment. This looked super yummy so I made it today, for tonights supper. I followed the recipe to a tee and if you like your food very bland stick strictly to the recipe. If you make this and like flavor, be prepared to add more Italian Seasonings, Salt, Pepper, and Garlic. I will certainly make this again, however, I will definitely be adding a lot more to it. Thanks for your comments, Christi. I agree it is always good to taste and season a dish to your preference. 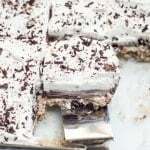 We found it just right for us as written but the recipe could definitely be adapted in many ways to suit individual taste. 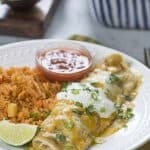 Can you make only half a receipe of this? My crockpot is small and I”m not sure it will all fit..
Sure! Just scale everything in half. I’m sure it will work just fine. Quick question, I’m not a huge fan of raw onions but I love them brown/carmelized, do they get cooked on the bottom of the slow cooker or would it be better to omit them? Thanks!